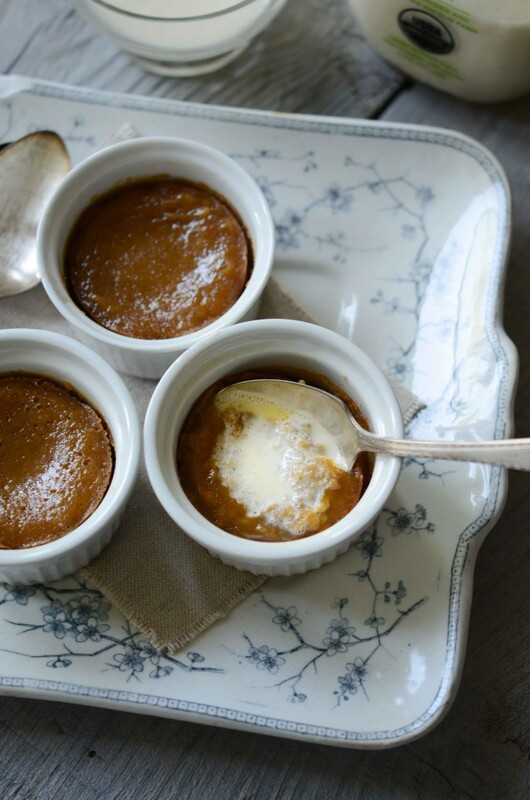 I tend to make these warm, creamy, pleasantly boozy custards to use up leftover squash but that said…they are SO worthy of custom-roasted squash. In fact, they are worthy of a trip to the store or farmers market to purchase nothing but the ingredients for these custards. When you go, make sure to pick up a jar of Cedar Summit Cream – or your local source for grass-fed cream – golden with butterfat and as fresh and silky as a baby’s cheek. This is cream that is too good to whip, just pour that glory right onto and over the warm custards and let it work its magic, sinking into the custard as it warms, pooling around the edges, swirling with cinnamon and booze. Proceed to eat immediately, remembering that warm, rustic desserts, cooled with cream, are The Best desserts. They are. My mind will not be changed. Note: You can use any type of squash – I used acorn for those pictured, but I’ve made these custards with butternut and kabocha as well. Use less sugar if the squash is really sweet. The recipe halves nicely. Preheat oven to 300 degrees F. Butter 6-4 oz. 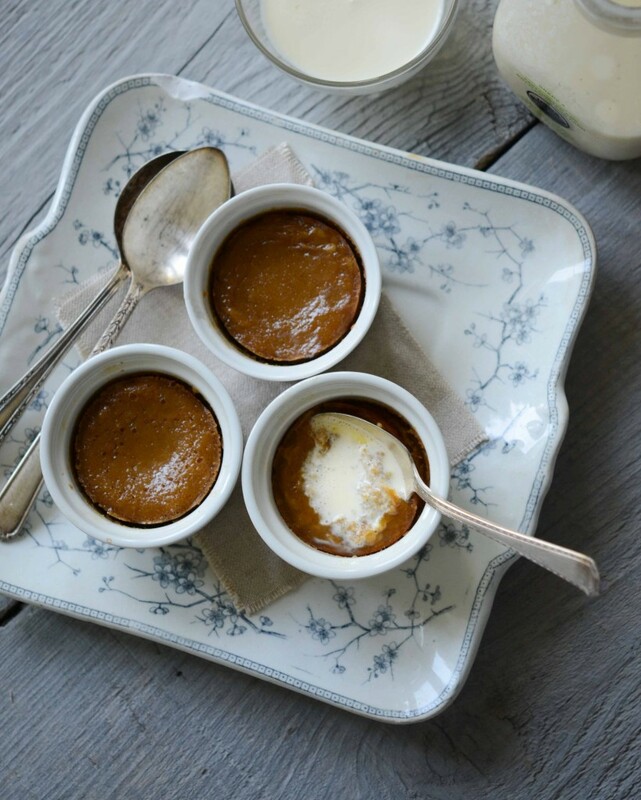 ramekins with soft butter. Set ramekins on a baking sheet. Add all ingredients to the bowl of a blender. Blend until smooth. Divide custard batter among ramekins. Bake custards for 40 minutes or until centers of custards are just set (knife inserted in the center comes out clean). Serve custards warm, with cream poured generously over the top.